In After the Coalition five new Conservative Members of Parliament tackle the challenges of contemporary Britain. They argue that Conservative principles adapted to the modern world are essential for national success. For Britain to prosper in today’s global economy, we need a new era of responsibility, for governments as well as individuals. The Conservative Party last won a General Election in 1992. 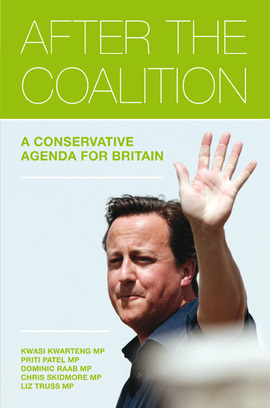 The formation of the coalition in 2010 ushered in a politics of compromise for the important task of bringing the deficit under control. At the next election, the Conservative Party may well fight for its own mandate. What that will be and the ideas supporting it need to be defined now. After the Coalition is an attempt to do precisely this.